Alice’s Garden (a Walibuy’s brand) is a French pure-player founded in 2011 in Roubaix (Lille area) by Arnaud Senlis. The company is specialised in garden outdoor furnitures (barbecues, tools, spa, etc.) and distributes its products across France and Spain. The Alice Garden’s products are available to purchase on several marketplaces (Amazon, La Redoute,…) and on its own E-Commerce website www.alicegarden.com. 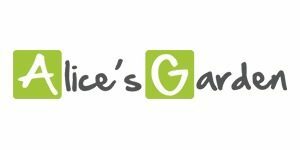 In 2013, Alice’s Garden entered the TOP100 of French Online Retailers (44th position) and its annual revenue was worth £17 millions (€20 millions). Following this steep and continuous growth, Alice’s Garden started to eye the British market. The team was aiming to get a better understanding of the retail and logistic landscapes in the UK in order to decide what is the best distribution strategy in Q4 of 2016. To maximise its chances of success in the UK, Alice’s Garden solicited B.D.C. team, international experts in Business Development, Retail and E-commerce.